From any project page, select the Documents tab from the top menu. This will produce a drop down menu, where you will select Punch-Lists. 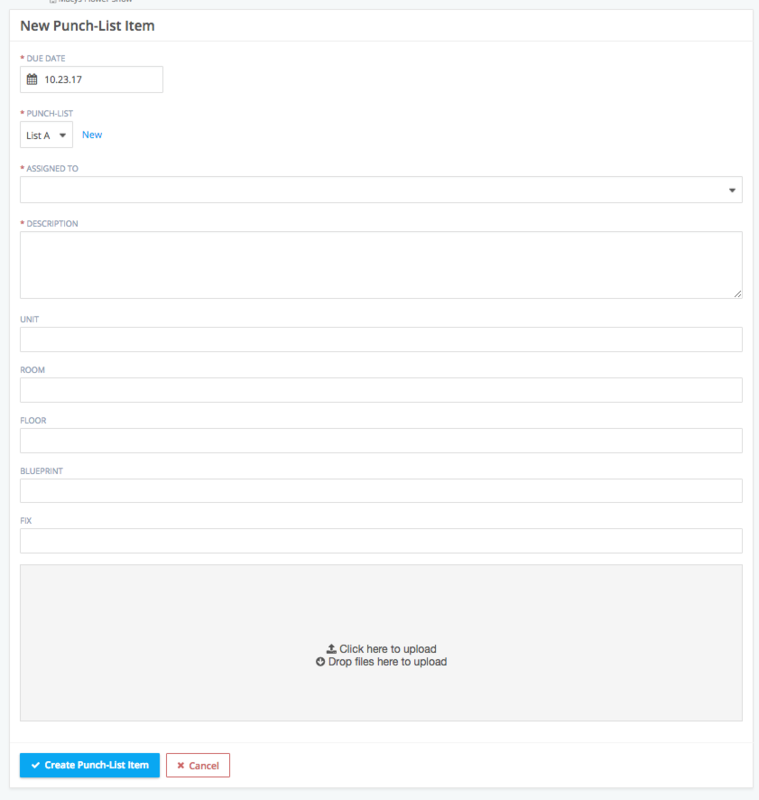 This will lead you to the main punch-list page where you can view and make changes to existing punch-list items or create a new punch-list item by clicking +New Punch-List in the top right corner. When creating a new punch-list item, simply enter the item details in the new window and click Create Punch-List Item. Completed Punch-List Item needs to be verified by the creator. This can be done by reviewing the item and selecting Verify button.